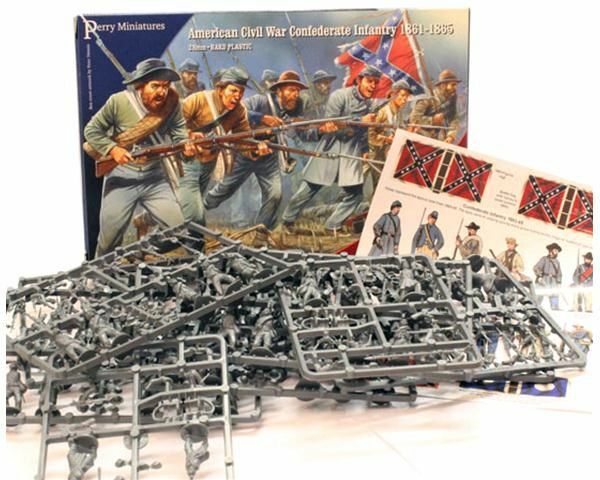 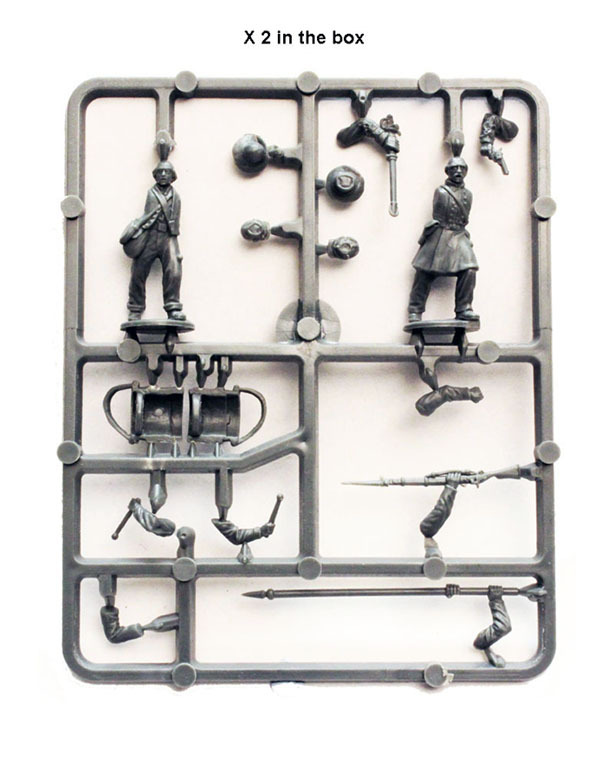 The figures in this box represent a Confederate infantry regiment form 1862 onwards although there are a fair amount of units that can be depicted from 1861 too. 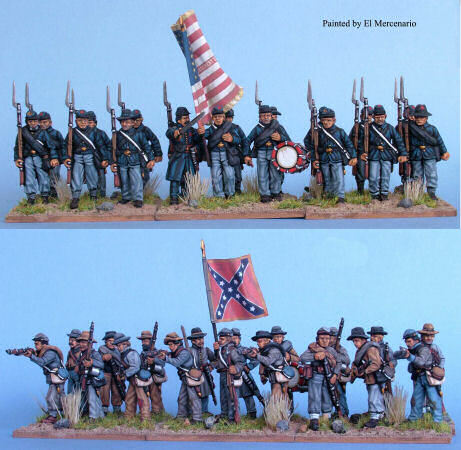 They are all represented in short jackets typical of the entire Confederate Army from mid-1863. 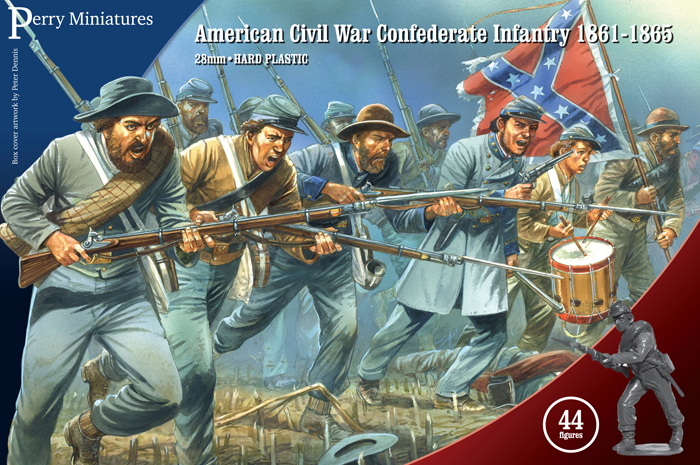 Both caps and broad-brimmed hats are included for all figures as some regiments adopted the hat and others the cap, although most had a mix. 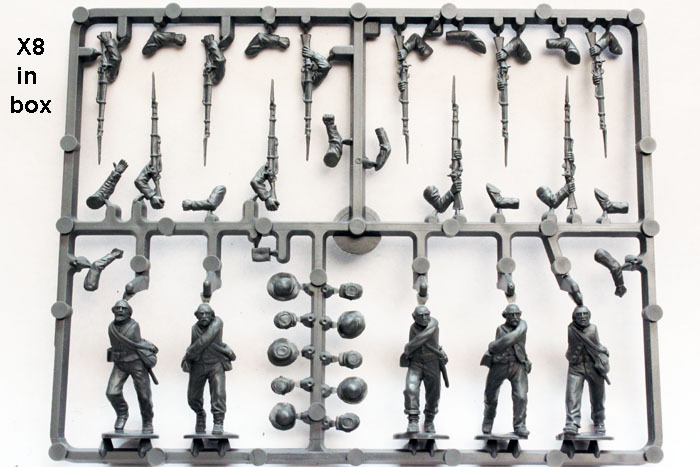 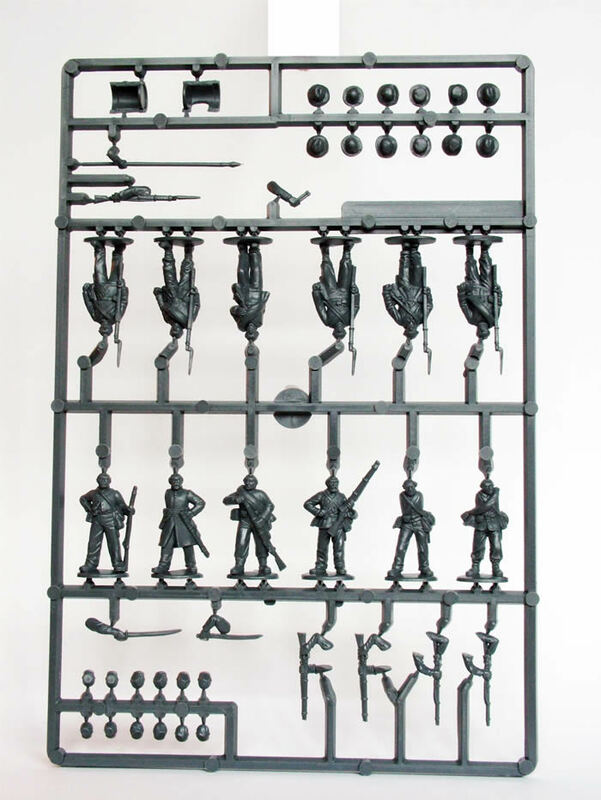 All figures have separate arms to allow you build the regiment at ‘right shoulder shift’ or at the charge. 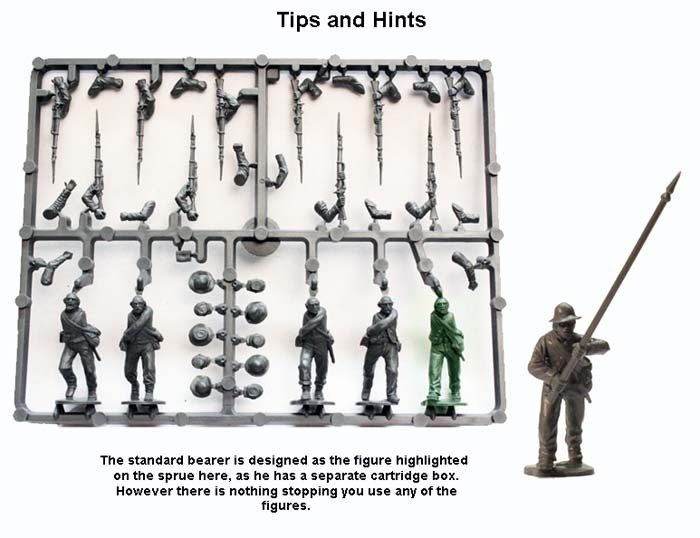 44 figures in the box, 8 flags, unit bases and a painting guide.